Monster! Monster! Where’s the Monster? Where is she? In 1870s, Bristol Bay, England, Hailee Tupper heard that refrain over and over again. Born mute and disfigured, her young life was marred by tragedy. 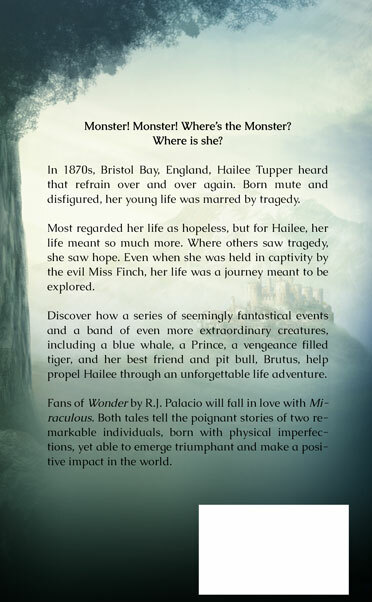 Most regarded her life as hopeless, but for Hailee, her life meant so much more. Where others saw tragedy, she saw hope. Even when she was held in captivity by the evil Miss Finch, her life was a journey meant to be explored. 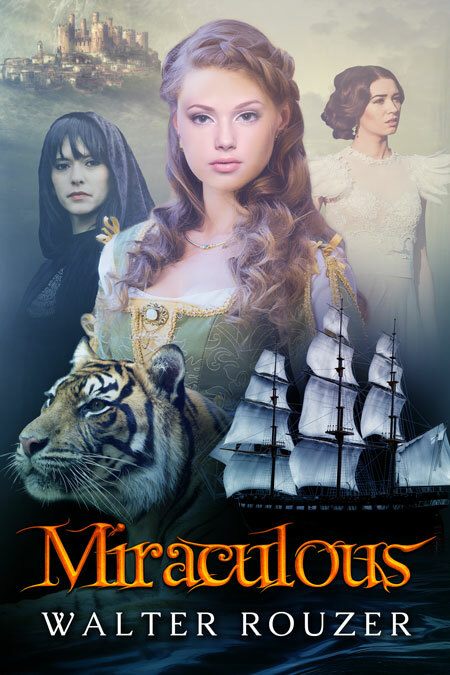 Discover how a series of seemingly fantastical events and a band of even more extraordinary creatures, including a blue whale, a Prince, a vengeance filled tiger, and her best friend and pit bull, Brutus, help propel Hailee through an unforgettable life adventure. Fans of Wonder by R.J. Palacio will fall in love with Miraculous. Both tales tell the poignant stories of two remarkable individuals, born with physical imperfections, yet able to emerge triumphant and make a positive impact in the world. 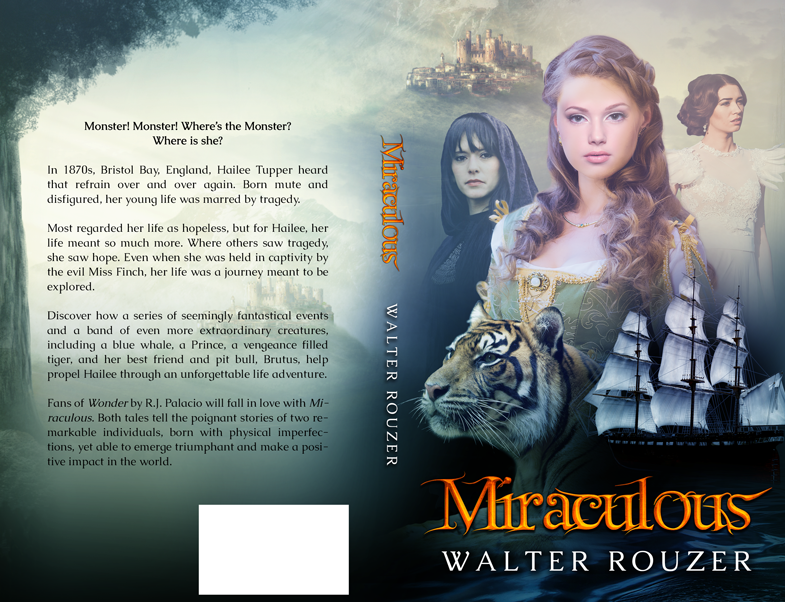 Get Miraculous by Walter Rouzer today!